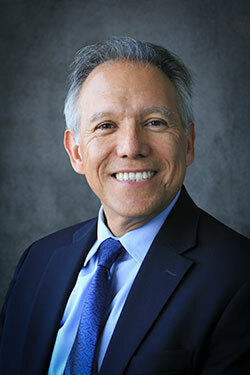 The Society for Industrial and Applied Mathematics (SIAM) has named Professor Juan Meza, former dean of the School of Natural Sciences at UC Merced, one of its distinguished fellows for 2019. SIAM said each of the 28 recipients was recognized for his or her exemplary research and outstanding service to the community. Through their contributions, SIAM Fellows help advance the fields of applied mathematics and computational science. Selection as a SIAM Fellow is a rare honor with each year’s selection representing approximately 0.30 percent of the total number of regular SIAM members. Meza is in good company with researchers from such esteemed institutions as Argonne National Laboratory and the University of Chicago, University of Oxford, Imperial College London and the University of Massachusetts Dartmouth, as well as three other University of California campuses — Santa Barbara, Davis and Los Angeles. Focusing on optimization methods and software applications for challenging real-world problems, Meza’s research includes machine learning; antibiotic resistance; electric power grid modeling; and Density Functional Theory, which has applications in the study of solar cells for renewable energy, biomedical imaging and the design of novel materials. He has also worked on the development of parallel optimization methods for high-performance computer applications. Meza is also known for his many efforts to improve diversity in STEM fields that include women and underrepresented groups.